Now that our four ‘kids’ are older (15, 17, 19, 20), we tend to get a sleep in on Christmas morning. I still remember the days they woke up well before the birds to see if Santa had been. Our kids all work in hospitality, which in the past years has meant split shifts on Christmas Day and Boxing Day therefore we have to fit in lunch and dinner however we can with family. We alternate between spending Christmas Day with my side of the family one year and my husband’s side of the family the next. It’s never without dramas because it’s family! Every year we host a Christmas Eve Breakfast at our house. We started it almost twenty years ago and even though there have been years we didn’t hold it, it’s made a comeback in recent years. We invite around 100 people and nearly everyone comes! But not all at once. It’s a drop-in breakfast between 7am and 11am. We provide a cooked breakfast (the works – bacon, sausages, eggs, mushrooms, tomatoes and spinach), pancakes, fruit, yoghurt, cereals, croissants and whatever other yummy breakfast goodies I come up with. We serve it buffet style and people drop in for either four minutes or four hours. It’s exhausting and hard work but I love seeing our friends catch up with each other – many people have become friends because of our breakfast and only catch up once a year. Christmas is such a busy time of year and we started our breakfast after getting tired of people saying “we should catch up before Christmas” and of course it never happened. Once we started our breakfast, it made it simple – we caught up with everyone on one day! It’s usually middle of the afternoon before the house is back in order, we then take a nap and head into Carols by Candlelight in the park on Christmas Eve. I’d love a white Adirondack chair. Or a BBQ. Jewellery always works well of course. And perfume. One thing I don’t need is more books! There is no typical – each year seems to change. There is always Christmas pudding served on my husband’s family side. Every year my sister in law makes it, using some secret recipe. Old coins are cooked into the pudding and the kids love it when grandpa cuts the pudding up to be served and they get to see if their serve has any coins in it. Rumour has it that one particular coin in your pudding serve means you have to wash the dishes. I don’t like pudding…or washing dishes…so I usually stick with one of the other desserts – usually pavlova or chocolate cake. Air conditioning and warm clothes – you never know what sort of weather you’re going to have on Christmas Day where I live and it can be two seasons in one day. Avoid parties! And get lots of sleep. I’ll probably binge read Christmas novellas. I’ve filled my Kindle with boxed sets – many of the stories written by friends of mine. Publishing two books and a novella and receiving contracts for three more books next year. To find time to write! Hollie Douglas has always dreamed of a white Christmas: carollers, pudding, chestnuts roasting on an open fire. But in her dreams, she shared that fire’s hearth with a husband, and two months before her big day, her fiancé broke her heart and left. Now, determined to go ahead with her honeymoon anyway, Hollie’s plans are going awry. It’s the day before Christmas Eve and she is stuck in the middle of a snowstorm in rural Canada. Thankfully, luck is on her side. When Jim Bell braved a snowstorm to search for one of his orphaned animals, he didn’t expect he’d be rescuing a stranded Australian tourist too. A widower, Jim has been dreading another Christmas without his wife, and he wonders if offering the stranded Hollie shelter is something he can bear. Jim quickly realizes Hollie is carrying as much emotional baggage as him. 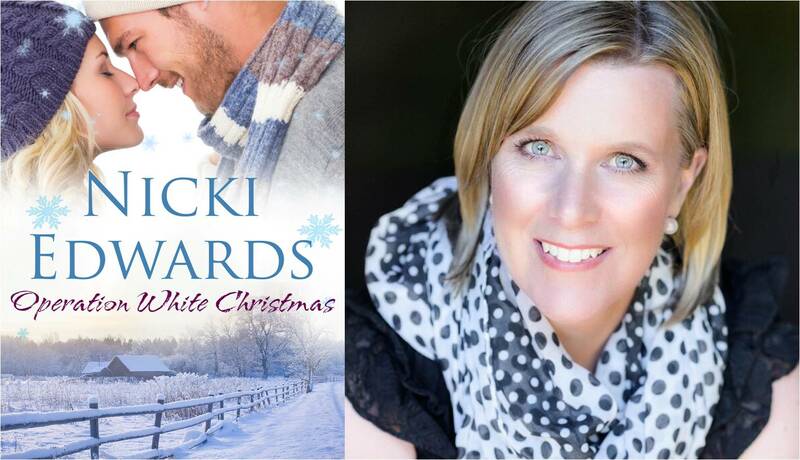 But as he helps Hollie fulfil her dream of a white Christmas, the winter wonderland and spirit of Christmas may yet work their healing magic on both of them. Loved reading this article.Thanks for sharng.